Kindergarten is an exciting time in any young child’s life. Not only do kindergarteners get to make new friends as they begin the first year of school, they also get to learn new math and reading skills. 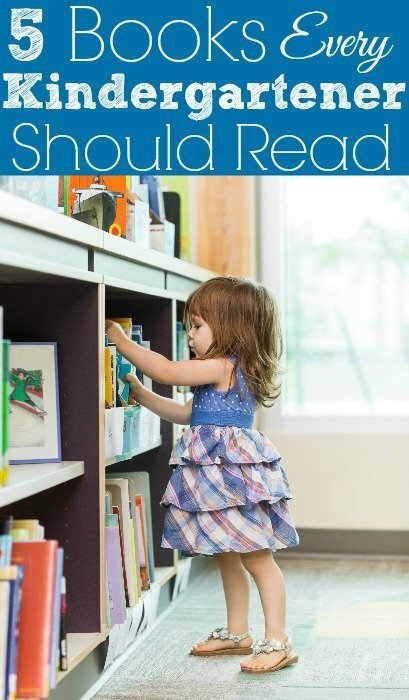 Reading especially is an important part of kindergarten, with students learning how to read themselves and also sitting back and listening to a read-aloud. The books read both in the classroom and at home have the ability to teach children important skills and lessons on education, social skills and emotions. Here are just a few books every kindergartener should read this year. The first day of kindergarten can be an exciting day for many young students, but it can also be overwhelming. Since new kindergarten students can feel isolated and alone, not yet knowing any of their classmates, it’s important to build a sense of camaraderie and common interest. Parents can use this book as a teaching point for what might need to be done before kindergarten starts, while teachers can use the book to lead a discussion on what each student did to get ready for the first day of kindergarten. Brown Bear, Brown Bear, What Do You See? ~Eric Carle & Bill Martin Jr. This book by Eric Carle and Bill Martin, Jr., is a great book every kindergartener should read. Throughout the book, new and colorful animals are seen, from the brown bear to the purple cat. The bold illustrations will capture your child’s imagination while teaching important kindergarten skills such as colors, descriptions and sequence. Learning the alphabet is an important skill every Kindergartener needs to learn. Chicka Chicka, Boom Boom is a fun book that both children and parents will enjoy as they read about the letters of the alphabet. The chanting language of the book makes it easy to read while the descriptive words will enhance your child’s vocabulary. If you want to inspire your Kindergartener’s imagination, this is the book to read. The story starts simply enough with a cookie being given to a mouse. The book then goes through what else the mouse would need, eventually leading back to the mouse asking for a cookie. You can use this book to teach your Kindergartener about story sequence, even making up your own story for the book. Lilly is a mouse that many Kindergarteners can relate to. She loves everything about going to Kindergarten, but her teacher makes her mad. This story describes the emotional journey Lilly goes through, starting with anger and eventually progressing to forgiveness. This is a great story to teach young children about emotions and how to control them.